NEW ROOF BEING INSTALLED;TIMBERLINE SHINGLES LIFETIME MANUFACTURE WARRANTY (Pewter Gray) Charming Ranch style home in Southcreek, North Parker. MOVE IN READY new paint inside and out, NEW CARPET just installed. HUGE master and 3/4 master bath with two sinks. Two additional good sized bedrooms and another 3/4 bath. Granite Countertops throughout, stainless appliances. Alarm system, oversized 2 car garage, air conditioner unit 3 years old. Large unfinished basement with a good sized crawl space for storage. Auto sprinkler system front and back. Backs to a beautifully maintained greenbelt. 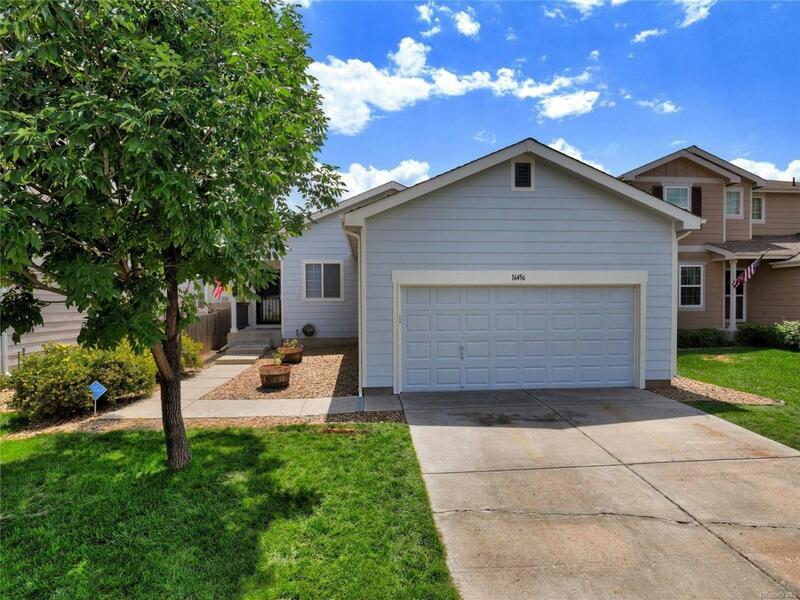 Located near the prestigious Cherry Creek Trail. Home is on the Arapahoe/Douglas County line. Children can open enroll to any Douglas County School or attend Cherry Creek Schools. Offered by South Park Realty.